Ian Draper was last seen at 3.30am on 3 August 2001. He was seen leaving the Mt Pritchard Community Club, Sydney after finishing work, in a white Ford Falcon. Reported missing to: Campbelltown Police Station. 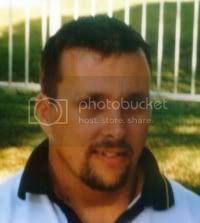 ON the 3 August 2001 Ian Charles DRAPER, aged 37 years, was last seen leaving his place of work at Mount Pritchard Community Club, Mount Pritchard driving his 1992 white Ford Falcon. Notice is hereby given that a reward of up to one hundred thousand dollars ($100,000) will be paid by the Government of New South Wales for information leading to the arrest and conviction of the person or persons responsible for the death of Ian Charles DRAPER. The allocation of this reward will be at the sole discretion of the Commissioner of Police. The NSW Government will pay a $100,000 reward for information leading to the arrest and conviction of those responsible for the death of Ian Charles Draper in 2001. On 3 August 2001 Mr Draper, aged 37, was last seen leaving his place of work at Mount Pritchard Community Club, Mount Pritchard, driving his 1992 white Ford Falcon. Mr Draper's car was located in Leppington on 17 September 2001. The vehicle was found locked and undamaged. A forensic examination of the vehicle was conducted but no evidence was found. Checks of Mr Draper's phone and bank records found they have not been used or accessed since his disappearance. Any assistance from the public will be treated as confidential and may be given any time of the day or night at any police station. The urgent assistance and co-operation of the public is especially sought in the matter. Cabramatta Detectives have issued a new appeal for information concerning a person missing since August last year. Detective Senior Constable Tracy Nelson said there are serious concerns for the welfare of Ian Charles Draper, of Minto, who was aged 37 when he went missing after finishing work on 3 August 2001. "Mr Draper finished work at the Mt Pritchard Community Club about 3.30am was last seen leaving the club in his white Ford Falcon, NSW registration ACD 45Q," Snr Cst Nelson said. "He was wearing long dark pants, a blue shirt and a blue fleece-lined jacket. "Mr Draper has not been sighted since that time and his personal accounts have not been accessed." Snr Cst Nelson said Mr Draper's car was found near Leppington about a month after his disappearance. Detectives and Mr Draper's family are hoping that someone may have information about his whereabouts or the circumstances of his disappearance," she said. Police have also received two anonymous letters concerning Mr Draper's appearance and we are anxious to speak with the person who wrote them. Anyone with information they feel may be relevant to this investigation is urged to call Cabramatta Police on 9725 8999 or Crime Stoppers on 1800 333 000. Callers to Crime Stoppers can remain anonymous if they wish and may be liable for rewards of up to $1000. Our family last saw Ian three years ago. He did shift work at the Mount Pritchard and District Community Club. On Friday August 3, he finished at 3am and left in his car, but he never arrived home. His white Ford Falcon was found six weeks later a few kilometres away. Five weeks before he went missing, Ian had ended up in hospital after his drink was spiked at the Minto pub near where he was living. We were worried, but you hear a lot about that sort of thing happening these days. He went back to work again and we thought it was all over. When he went missing, it was hell. I had to talk to the media, among others, and I wasn't too good at it at first. We used to go out every day to search. Then we'd all come back and try to work out where to look next. Ian's never been into drugs, but whether he was involved with anybody he shouldn't have been, we just don't know — there are some really bad people around. The trouble is, Ian was a very soft-hearted person and easily led. He'd befriend anyone who was down and out, saying, "Oh, they need help." He wouldn't have spoken to us if anything was wrong. Knowing Ian, he wouldn't have wanted to get his family involved. I went around the homeless shelters once, in case Ian was on the street. I've tried everything. I've even been to a clairvoyant. We were very close — I've lost my son and my best friend. Ian had a girlfriend at the time and they were planning to get engaged. He was really close to his brother and sister as well. His brother had a breakdown after Ian went missing and wasn't able to work for some time. Before all this happened I was very shy, but something like this changes you. I saw a counsellor and all I did was bawl my head off. Eventually I started talking. We miss Ian so much! The worst thing for us is not knowing what's happened. 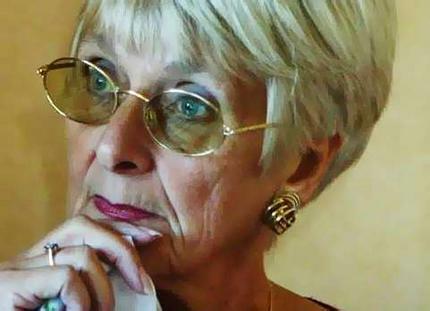 Janet Draper has already used DNA checks to help search for her missing son, Ian. Cardboard boxes fill the shelves lining the walls of the bone room at Glebe morgue. After sometimes decades in cold storage, their contents hold new hope of solving some old and painful mysteries. In a huge undertaking to reduce the 400 long-term missing persons cases in NSW, skeletal remains held in the mortuary will soon be sent to the United States for DNA testing. Already police have been gathering DNA samples from relatives of every person reported missing more than one year ago and sending them to a laboratory in New Orleans. About 120 samples of mitochondrial DNA have been taken from maternal relatives of the missing and 45 sent for analysis. It costs $US1000 ($1300) to analyse a mouth swab and $US1800 to test bone. Australia's first missing persons DNA database means about 60 of those sets of remains will offer some hope of burying decades of uncertainty. Janet Draper is someone who won't find answers to her missing son Ian's whereabouts in the collection of almost 200 skeletal remains held by the Department of Forensic Medicine at Glebe. Mrs Draper insisted two years ago police take a sample of her mitochondrial DNA, pre-empting the current project which is expected to take at least another year to complete. "I did push to have it taken," the 64-year-old says. "I'm a person that's getting a bit older and Ian may not be found for a while yet. I want the police to be sure that he can be identified." Ian Draper, a barman then 37, was last seen leaving Mt Pritchard & District Community Club at 3am on August 3, 2001. His car was found at Bringelly six weeks later. Mrs Draper believes her son was murdered. Each year approximately 30,000 people are reported missing in Australia, almost a third of them in NSW. More than 99 per cent of these are found. Last financial year, NSW Police received 9335 reports of missing persons, and 99.4 per cent of them were found, 73 per cent within three days. All within the 1 per cent or fewer cases which remain unsolved after 12 months are added to the long-term missing. This grows by 40 to 50 a year. Some will be found alive or their bodies identified, but about 400 people form the core of those missing since record-keeping was standardised in the 1960s. With genetic profiling being increasingly used to identify human bones, every name on that list represents work sourcing a relative's DNA if a potentially matching body is found. Gathering that material now will give police a permanent resource that can be used to positively identify or discount any human remains as belonging to one of those 400 names. Once a broad database is created, police can establish a system triggering requests for DNA from family once any person has been missing for 12 months. While the database's greatest worth will be in the future when bodies are found, it also provides the potential to identify some old, unidentified remains. Dr Denise Donlon, from the University of Sydney, told the Herald the unit considers about 60 sets worthy of extracting DNA to check against the database. The almost 200 sets of remains in the facility range from those of Aborigines who died before European settlement to a foot found on a beach in February this year. Most were found between the 1960s and 1990s. A capacity to check any fresh remains against the profiles of hundreds of missing persons would help every family on the database, the missing persons unit's Mark Samways said. "The main thing is we can make the process happen quicker for families," he said. It will take about four weeks to compare a DNA profile against the database.